Passion for Art and Design? Full Sail’s accelerated bachelor’s degrees can be completed online in 29 months. Our degree programs are designed to equip serious artists by combining traditional skills like drawing and sculpting with digital techniques like motion graphics and 3D arts. Learn more. Savannah College of Art and Design’s (SCAD) BFA, MA and MFA in Animation programs are internationally recognized for their fundamental approach to teaching the craft which continually produces graduates of the highest calibre. Chris Gallagher and John Webber were two of them. Today, both former Disney animators-turned-educators find themselves back at SCAD teaching animation and steering the ship. Chris Gallagher’s career in the animation industry arguably reached its zenith when he served as Technical Director at Walt Disney Animation Studios. There, he worked on everything from Paperman and Wreck it Ralph to Tangled and Frozen. In his new role as Chair of Animation at SCAD, he brings the enthusiasm, acumen and vision to undergraduate and graduate students alike. Gallagher’s new colleague at SCAD, Animation Professor John Webber, likewise enjoyed enviable professional years at Walt Disney Animation which saw him animating modern classics like Mulan, Hercules and Pocahontas prior to co-founding his own animation studio. The two men graciously gave us their time amidst Hurricane Irma’s destruction to share with you the many unique qualities that keep animation students- and teachers- coming back for more. We hope you enjoy our latest Spotlight Interview. ACR: Prior to joining the faculty at SCAD, you both spent considerable time in industry including at Walt Disney Animation Studios. Chris, why did you choose to leave your role as Technical Director in favor of chairing SCAD’s Animation Department? Chris Gallagher: I earned my MFA here at SCAD and firmly believe I never would have made it at Disney if it weren’t for my education here. I mentored colleagues and young animators at Disney and loved their passion for this craft. So after months of conversations, I decided to apply for the Chair position at SCAD. I took so much from John (Lasseter) and Ed (Catmull) at Disney- the way they revitalized animation by focusing on story is a lot like what I envision doing here. We have over one thousand animation students here who have the same level of passion and commitment that everyone working at Disney shared. They are the lifeblood of this industry’s future, and I’m thrilled to help provide them with the foundation that will serve them well. ACR: John, you’ve been teaching at SCAD for just about a decade now. Was it exciting to welcome another Disney cohort into the mix when Chris joined as Chair? John Webber: We have a lot of industry veterans here and we work together like a big family. It’s one of the best joys about working here at SCAD. It’s funny because I hear Chris mention many familiar names from Disney like Byron Howard, Kevin Deters, Stevie Wermers, and even recent SCAD grads such as Kate Kirby-O’Connell and Tyler Kupferer. We share a lot in common on that front, but my background is rooted in traditional animation whereas his is digital focused. There is always a concern about any new Chair coming into a department because you never know the kind of leadership you have until they get there, but wow! I have already learned a lot from Chris since he joined us in July. I think his vision for the department is spot on and I am genuinely excited for the future of SCAD animation. ACR: What things have changed in the years since you were a student at SCAD, Chris? And John, how has the department evolved in the decade since you’ve been teaching there? CG: We didn’t even have our building when I was here for my MFA, for one! Now we have a state-of-the-art 4 story building that I equate to an animation studio mecca for our School of Digital Media. It houses Animation, VFX, Motion Graphics and Game Design and we all essentially work as a one giant team. Though we do things a little differently, collectively we’re pushing the school forward and educating students about the possibilities all around them. JW: I seen exponential growth in the animation department since I have been here. At one point, we were called “Computer Art”; now we are the School of Digital Media (SDM). As Chris explained, we split into 4 majors under the same umbrella: Animation, VFX, MOME (Motion Media) and ITGM (Gaming). The split allows for more advanced classes within each major. In the last 4-5 years alone, the animation major has doubled in size. All of these factors have a significant impact on how we produce our films within the SCAD culture. ACR: Given how well respected SCAD’s animation department already is, what are your goals moving forward? CG: Being very new here, the old adage, “I don’t know what I don’t know” certainly applies to some extent. I’m eager to learn. I don’t want to lose our strong tradition in animation, but I do want to help take us in the direction of where we see animation studios going- even more collaborative with each student’s storytelling voice coming out. Coming from industry, I have a strong understanding of the global animation scene; I want our students to understand what’s going on, where it’s happening, and how we can help them find their direction. ACR: What skillsets most impress you when working with colleagues? CG: I really like to see someone with a good understanding of form and drawing. Fast, quick character studies with live models is best. It gives you a better sense of weighting and timing. Even when drawing cartoony characters, you need to understand proportion in order to exaggerate it and make it believable. So traditional skillsets are important even beyond computer proficiency. I also like working with people who have historical knowledge of the craft. At SCAD, students learn where animation has come from, where we are now, and hints of where it may be in the future based on current trends. ACR: Entering SCAD students don’t dive into animation from the get-go. What’s the pedagogical philosophy behind this? JW: All of our incoming freshmen are required to go through a year of foundational studies before they reach courses in their major during their sophomore year. You need to be a good artist and learn to use technology as an extension of your artistic skill. At the same time, freshmen are invited to weave themselves into the culture of the School of Digital Media by attending animation club meetings, workshops, guest lectures, or volunteering on Senior projects where appropriate. Freshmen can also schedule appointments with animation professors for one-on-one meetings if needed. ACR: How does this focus on the foundations equate to better prepared animators in an ever-changing industry? CG: There are over a dozen different roles that animators fulfill. You may be a traditional performance person but you’ll work with concept artists and story artists and riggers and all of these people with slightly different skillsets and interests. Animation takes two things: a team and a story. The more you understand that, the better prepared you are. JW: I want our students to be artists with excellent foundational skills and not just a tradesmen that fills a gap along a production line. If you have a good foundation, then you have a better chance of adapting your observational skills into a desired technology. I also suggest my students identify “A, B and C” skills as soon as they can. Become elite in the “A” skill and compliment it with a couple other skillsets that interest you. When 2D animation was overshadowed by CGI, I recall a time at Disney when one of the top executives expressed to all of the artists that technological advancements in 2D had run their course. There was no where else to go, and it was obvious that 3D had a vast new horizon to explore. This is what Walt Disney himself always sought out; he had a curiosity for new things and technological breakthroughs often propelled the success of his endeavors. We need to be problem solvers and not fear technology. Use it to your advantage to create what you want. ACR: How often do undergrads work in teams on projects? JW: Up until recently, the philosophy was, “One student, one film”. The idea was to have every student being the complete filmmaker by touching every phase of the animation pipeline on their film. What we are implementing now is a shift to a project-driven basis where we can unite our majors in their senior year on approved ideas with select teams. We are very influenced by the success of our CLC (Collaborative Learning Center) department at SCAD and how it is structured. At the same time, we are creating space for individual films and independent ideas to flourish. Down the road, I think we can strengthen the bond between our other campuses, as well. ACR: It seems every aspiring animator wants to know what it’s like to work at one of the big studios like Disney. So I have to ask, what was it like for you both? JW: I learned to mature quickly at Disney Animation because I was surrounded by supremely talented supervisors like Glen Keane, Andreas Deja and Eric Goldberg. Honestly, there were confidence issues to deal with. I also had to learn not to be a “high maintenance” animator, but at the same time depend on my crew for help when I really needed it. I had to develop a sense of my place along the animation pipeline and how my actions affected others in their respective departments. And I had to be responsible about communicating in a positive way when there was a problem. CG: My job was never dull. Working in the film industry, our job is to entertain people. Having a strong passion becomes imperative. You’re not working on the same film for years on end, so things evolve and change all the time. That kept me excited. As a Technical Director, I viewed my role as a bridge between the software crew and the artists. I could speak with both of them equally because my background included computer animation and fine arts. The technical part of my work was about solving problems. That’s really what we do as animators; we solve problems with each shot and figure out how to best tell our story within 37 frames. ACR: The Disney animators we’ve interviewed often talk about being inspired profusely by each other. The talent creates a culture where everyone wants to get better. Do you see similarities at SCAD? JW: Absolutely! One of our professors, Jan Carlee, likes to think of SCAD as a giant sandbox where you have the ability to do whatever you want while you are here. There are endless options and I see a lot of our students working together and pushing each other to be better each day. I’ve always been impressed by the friendly camaraderie our students have shown towards each other in class. As the animation department continues to implement its future collaborative goals, I think the standard of excellence will be raised even higher, which adds more competition and drive to be even better. I also feel that I learn just as much from the students as they do from me. The animation industry is huge with a plethora of software and skills to develop that are constantly changing. If you become complacent or prideful in what you do, then you will never grow. I think it is obvious that those with the most curiosity and passion to learn will grow the most. That’s why I openly tell the students to sit up in the front of the class with eyes wide open and ask a lot of questions. I credit a lot of my growth as an artist to students like June Kind who is now a Supervisor at Floyd County Productions. ACR: John, after working at Disney you co-founded an animation production studio in 2004. What was the impetus for that move, and what things did you learn in this entrepreneurial role? JW: Yes, Project Firefly! I may have learned more in my three years of that endeavor than any other time in my professional career. Disney was closing down their Orlando facility and it was a shock to so many great artists there. A number of us loved Orlando and wanted to keep our families there while still being devoted to the craft of 2D animation. We managed to set up shop on the Universal backlot and we were quickly aided by the generous support of Jim Henson’s daughter, Heather Henson, who lived in the area. While at Firefly, I was no longer just an animator but a co-founder. We quickly learned a lot about business from setting up LLC’s to forming partnerships, sharing responsibilities, reaching out to investors, and leading subcontracting jobs as they came in the door. We can all look back and laugh at everything now, but it was never easy. I wish we made a documentary out of it or some form of reality series because it was an absolute crash course in business, leadership and maturity as a person overall. ACR: SCAD has developed close ties with industry and artists in no small part thanks to both of you and your colleagues. Can you tell us a little about these relationships and how students can leverage them? JW: Our Career Services department reaches out to a wide variety of studios. We bring in guest speakers, mentors and alumni to visit classes and give school-wide presentations to enrich the educational experience for our students. 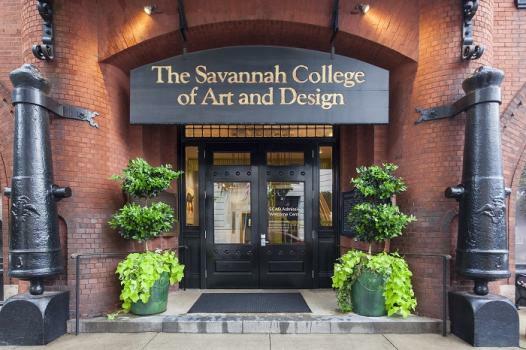 The CLC (Collaborative Learning Center) opens the doors of all 40 majors at SCAD to professional industries. These companies have a particular project or goal in mind that they want completed and work with a select group of our top students through a classroom environment. It’s a win-win all the way around for the company, student and SCAD. It sets up a professional environment for our students who need to deliver on their goals, while developing potential internships or future employment. It’s been a huge success for us and they are fantastic classes to lead. Our professional alumni mentors visit us a couple times per year and provides valuable feedback on the curriculum and the development of the school as a whole. We also work with studios like “The Third Floor” which has provided excellent feedback on the structure of our previz classes/minor. Currently, we are discussing curriculum with VR studios. A friend of mine expressed that it is in our favor that the city of Atlanta has more film production happening in it than southern California due to the state incentives. All of this is having a positive impact on us. ACR: When it comes to guest speakers and mentors, the name dropping can come easy at SCAD. Who are some that readers would likely be familiar with? JW: Past mentors have been Glen Keane, James Baxter, Will Patrick, Ted Ty, Shannon Tindle, Matt Williams. Our alumni mentors visit our campus at least 2 times per year and stay a few days to meet classes, look over student work and reflect on the curriculum for feedback/development. We have a huge curriculum development initiative coming, I believe, next year. We are doing a lot of research and planning right now to accommodate collaborations, story, viz dev and a general overall review of our curriculum. ACR: Fantastic, all around. Chris, you get the last word and then I’ll thank you both for giving us your time. CG: Ultimately, great story drives everything. We enable students to tell the stories they want with animation as the medium. We also want to bring out the best of each student. Let’s say an MFA student comes from a Biology background, he or she will find the confidence to leverage what they know and learn the ropes of animation. Our interest is not to educate every student for a career at a big studio; we’re here to give them a solid foundation so that they can take it and run with it in any direction they choose. Check out more interviews at Animation Career Review's Interview Series. We are proud to announce our first short animation contest of 2019.